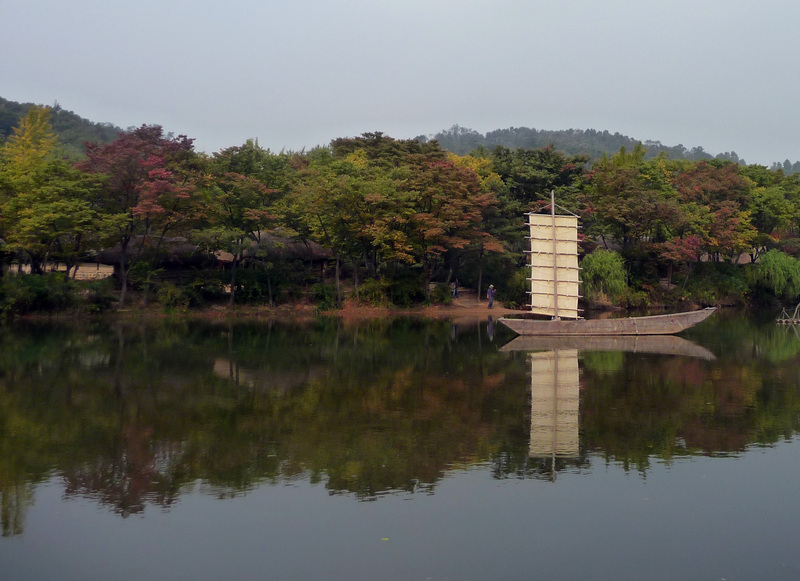 Seasons in Suwon, South Korea are striking to me. 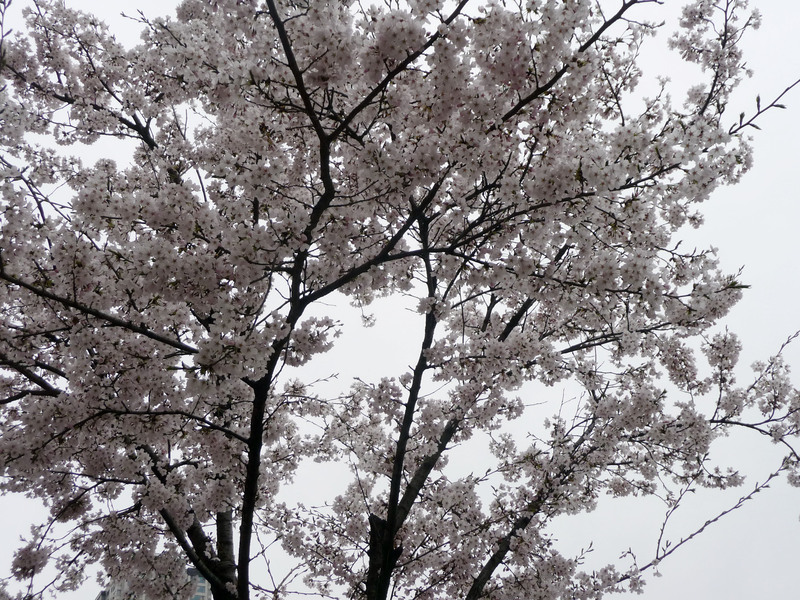 It may be because I’ve never seen seasons, and it may be because Suwon is stunning. I don’t know. Check the pictures out though. I am from Phoenix, Arizona. We don’t have seasons there. The grass is always green. The trees always have leaves. And, there is no time of the year when you need a coat at noon. 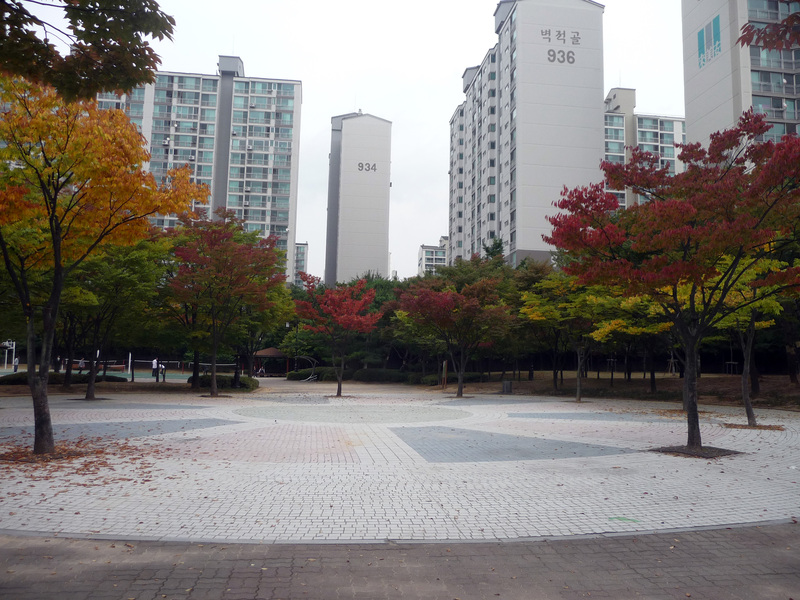 Living in Suwon, South Korea has given me my first experience with seasons. It’s amazing to have the world around you constantly transforming. I arrived in winter, which was my first experience living in snow. 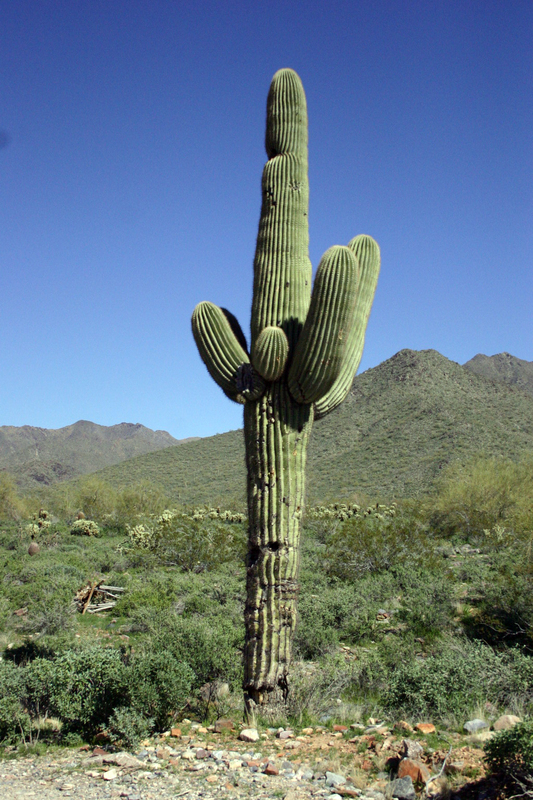 Sending me from Phoenix, Arizona to a place to Suwon, South Korea in January was like throwing a cat in a bathtub. 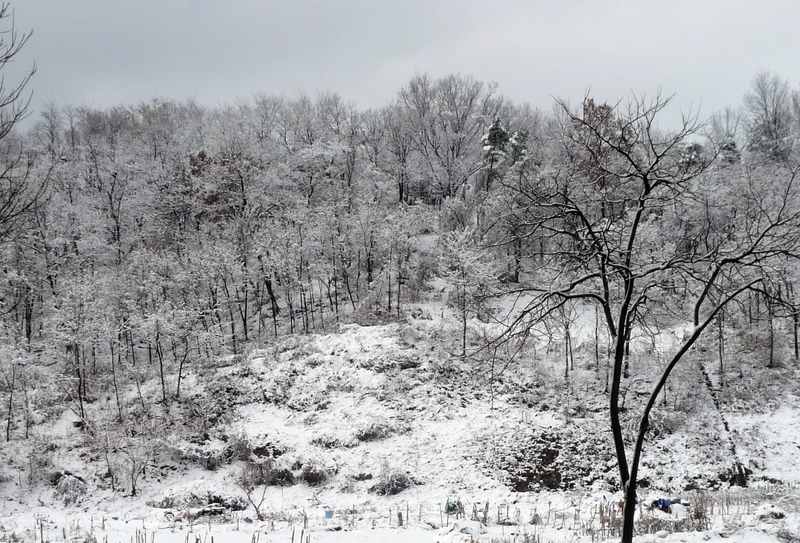 On the other hand, winter was beautiful. Everything looks so fancy when it’s frosted in snow! And, while I thought winter was awesome, spring was absolutely amazing. I was in awe of all the soft petals drifting down from roof gardens and planters all around me. Heat and water and plants everywhere! Summer was hot, which I am used to. However, it was really humid, which I am not used to. I discovered something about humidity though; it helps plants grow! I am used to scrub bushes and cactus. The surrounding got so lush in summer it seemed like everything was growing. Now it’s fall. I was impressed with winter, spring, and summer. Then the leaves started changing color and I realized fall was the greatest season ever! I have never seen so many wonderful colors. So, to all my wonderful Phoenicians; visit anytime. Seasons are positively fantastic! 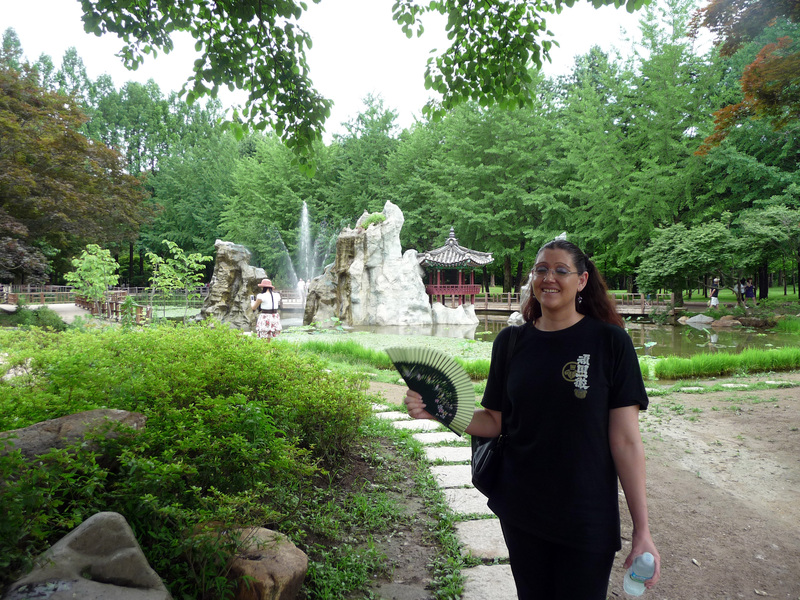 And Suwon is a beautiful city to experience them in.